In recent years, there has been an encouraging decline in the amount of carbon emissions in the U.S. But that took a turn in 2018 with a 3.4-percent increase in carbon emissions. With carbon emissions on the rise again, there are many cities across the country that are trying desperately to keep their carbon emissions low. They’re doing so by installing solar panels on the roofs of buildings, encouraging people to ride bikes and use electric scooters, and, in some cases, even pushing for a ban on vehicles with internal combustion engines. The thought is that, by taking these steps, cities will hopefully be able to reach what is called carbon neutrality. Some developers are attempting to incorporate what is called a “climate-positive design” into different cities. A climate-positive design does more than just eliminate carbon emissions; it works to remove carbon from the atmosphere, which could prove very beneficial for the environment. There is, understandably, some skepticism surrounding the idea of climate-positive design, but many designers are standing behind the idea and say that they believe they can offset carbon emissions by adding more trees and soil to design plans and utilizing materials like alternative cement and smart glass to cut the amount of carbon in a city. There are more than 60 building projects across the country that are successfully creating more energy than they use up. These buildings could eventually serve as a blueprint of sorts for the climate-positive movement. 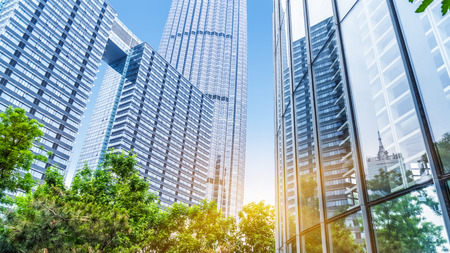 It’s going to take some time for climate-positive design to gain momentum, but the hope is that more and more developers will take the green initiative when building new structures. Rick’s Energy Solutions is one of the many companies that will be keeping a close eye on the latest climate-positive design developments while helping those in California make their homes and businesses as eco-friendly as they can be. Call us at 707-578-5380 today to learn more about our green building design and consulting services!